I’m a denim freak. I would live in jeans if I could. I would have been married in jeans if my mum would have let me. Denim has been around for over 140 years, originally as a hard wearing work uniform for miners, spreading into the American middle class in the sixties. It’s cool, it’s classic, there’s a style for every booty type, and you don’t need to wash it very often. Denim is ultimately iconic with a distinctive look for virtually every decade. Image provided by Mud Jeans, the innovative brand who introduced the "Lease A Jeans” innovative to minimise waste and enable guilt free denim consumption. Winners of the Sustainability Leadership Award, MUD Jeans is "the only brand that works completely according to the principles of the circular economy." 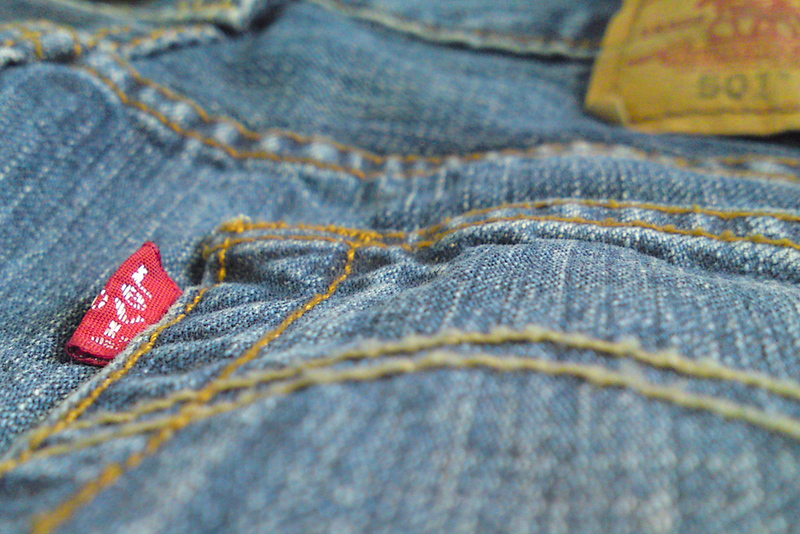 World wide we are buying over TWO BILLION pairs of jeans each year, with every American owning on average 7 pairs. That’s not great news for the environment and garment workers because as I’ve recently discovered, jeanswear is regarded as having one of the worst environmental and ethical footprints in the fashion industry. Jeans are generally made from non-organic non-sustainable cotton, which requires pesticides, fertilisers and a mind bending amount of water. Trade injustices and exploitation are shall we say, not uncommon. Unsafe use of agricultural chemicals has severe health impacts on workers in the cotton field. An estimated 1 million people die from pesticide ingestion and exposure every year. Over 270,000 Indian cotton farmers have killed themselves since 1995, with some observers linking the suicides to crippling debts following the introduction of costly genetically modified seeds, fertilizers and insecticides by corporate giants like Monsanto. Each kilo of cotton produced uses over 20,000 litres of water with one pair of jeans requiring around 7,000 litres of water to produce. Before denim is dyed, it is cleaned using sodium hydroxide and detergents to remove natural substances that resist dye. To get those worn in faded looks (remember, every pair of jeans starts out dark indigo) each pair of jeans needs several baths of water and countless environmentally harmful chemicals like bleach, peroxide and formaldehyde to achieve the look. 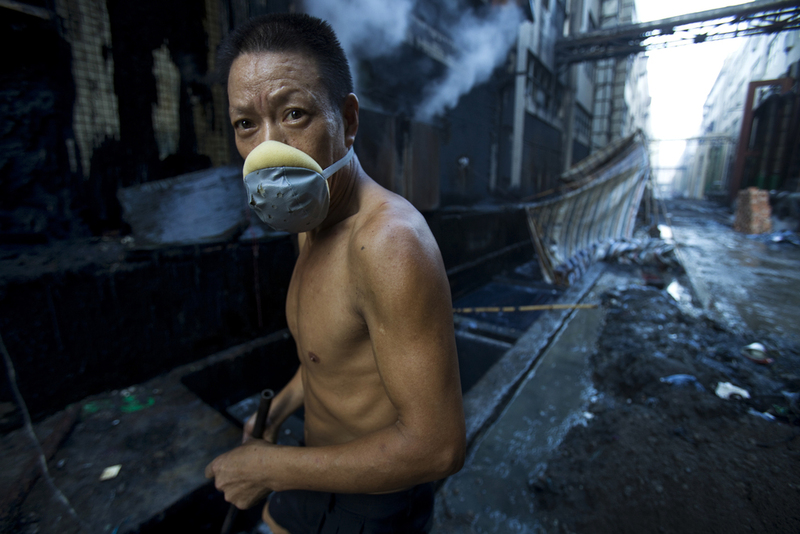 As part of a documentary called RiverBlue, Greenpeace tested the outflows near denim factories in Xintang, China - “the jeans capital of the world”. They found five neurotoxic and carcinogenic heavy metals — cadmium, chromium, mercury, lead, and copper — in 17 out of 21 water and sediment samples. Local people are living alongside these rivers. And what about the garment workers who are sewing these 2 billion jeans every year? Not great news I’m afraid, especially when a company can sell brand new jeans for NZD $12 and still make a profit. Despite widespread promises of reforms, not a lot has improved since the Rana Plaza collapse of 2013, where over 1,100 workers lost their lives. As Refinery 29 notes: “Factories with padlocked emergency exits, expired fire extinguishers, and poor construction are everywhere in Bangladesh, not to mention in developing nations around the world….sweatshops are still operating [in Bangladesh] and globally, cutting every corner they can to make you clothing as cheaply as possible… So yeah, people die making our clothes”. OK that was all pretty heavy - let's look at what we can do. A first step we can take to begin to minimise the impact of the jeanswear industry is to buy fewer items in the first place. Easier said than done, I know. But buying fewer items frees up our budget to invest in better quality jeans that people have been paid a fair wage to make, without risking their health, or that of the environment. Buying vintage is a great option too, because wearing used clothes removes the need to use precious resources making new fibres. We can also make our jeans last longer (meaning we can purchase fewer) by not washing them too often. Extending the average life of clothes by just three months leads to a 5-10% reduction in the carbon, water and waste footprints of every pair of jeans. Rachel McQueen, an assistant professor of human ecology at the University of Alberta with her student and raw denim fan Josh Le found microbial levels in raw denim jeans were virtually identical after washing when compared with jeans that had been worn for 15 months straight. Not that I’m up for going 15 months between washes, but there is room for improvement here. In the U.S, UK and China, people generally wear their jeans 2, 2.5 and 4 times respectively before washing them which is far more often than necessary. When it does come time to make a purchase, there are inspirational brands out there who are doing things in a different way, bringing integrity and environmental responsibility to the jeanswear table. These companies are moving away from the cheap-fashion model, paying people fairly and looking after the environment so keep that in mind when considering prices. And remember - those cheap jeans aren’t truly cheap, someone is paying the cost of our savings. Refinery 29 reckons you need to spend over NZD $140 to be sure your jeans "didn't kill someone". Relatively small price to pay we reckon.